General Manager and Director of Rail Transit Michael Marino plans to retire in January. 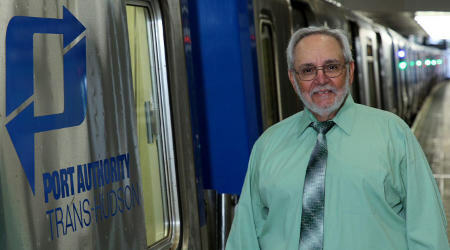 The man who’s guided Port Authority Trans-Hudson Corp. (PATH) the past four-plus years is preparing to enter the next phase of his life. General Manager and Director of Rail Transit Michael Marino plans to retire in January and spend more time with his family. Marino, 70, can reflect on his contributions and accomplishments at PATH after he departs. For one, he’s managing and advancing the agency’s 10-year, $2.4 billion capital plan that’s part of owner Port Authority of New York and New Jersey’s (PANYNJ) $32.2 billion, 2017-2026 capital program. The plan includes funds for the installation of both positive train control (PTC) and communications-based train control (CBTC). Marino also has helped guide the Harrison Station redevelopment project, advanced numerous upgrades and state-of-good-repair projects, and directed system-wide clean up and restoration efforts after Superstorm Sandy struck the East Coast in 2012. Launched in 1908, PATH serves points in northern New Jersey and lower and midtown Manhattan in New York City. Marino joined PANYNJ in 2008 as senior project manager on the railroad’s capital program logistics review group. At the time, he was assistant vice president of rail transit for AECOM, where he led such projects as the Trans-Hudson Express Tunnel and Moynihan Station redevelopment. In 2011, PANYNJ installed Marino as PATH’s superintendent-way and structures division, then in 2015 appointed him director of rail transit. In between, he served stints as deputy director and acting director of PATH’s rail system. Marino became GM and director in March 2014. He oversees all of PATH’s core functions, including rail operations, safety, security and administration. Marino has exemplified expertise, experience and leadership — much of it culled from more than 30 years of taking on challenging responsibilities at Amtrak and New York’s Metropolitan Transportation Authority (MTA) — while leading PATH, PANYNJ officials say. Now, he’s primed for fewer responsibilities and more free time after what grew into a long and rewarding railroad career. “It’s hard to give it up. But I think it’s time to turn it over to younger people who have better ideas than me,” Marino jokes. 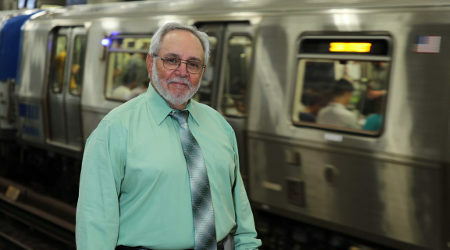 Marino’s rail industry career has spanned more than 40 years, including 30 spent with Amtrak and New York City’s MTA. That rail career got started following military service. 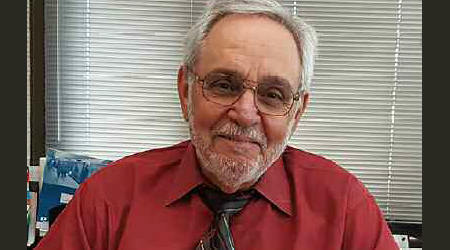 After graduating from City University of New York-Brooklyn College with a degree in business management and marketing in 1968, Marino joined the U.S. Navy. He served until 1972, then completed a stint in the Naval reserves. His military service included various commands around the world — most prominently a North Atlantic tour and two Mediterranean cruises on the USS John F. Kennedy aircraft carrier during Middle East conflicts. Marino then joined the rail industry in 1976 by becoming a trackman at Amtrak, which he served for more than 20 years. He eventually took 40 of 60 training courses offered by the railroad. “So I went from trackman to track supervisor to manager, then to working on Penn Station, some C&S projects and other things,” says Marino. He worked his way up to superintendent of terminal services and became responsible for key elements of Northeast Corridor improvements from Trenton, New Jersey, to New Haven, Connecticut. Marino left Amtrak in 2000 and joined the MTA. There, he worked on the East Side Access Project — an extension of MTA Long Island Rail Road service to Manhattan’s east side — as director of force account construction. Marino also was involved in the early planning stages of Moynihan Station’s $1.6 billion redevelopment from a former post office into a train hall. He became AVP at AECOM in 2006 and later was recruited to join PATH because of his rail expertise and involvement in the Moynihan Station project. Job No. 1 at PATH: helping the agency boost capital investments to upgrade aging signals, stations and other rail infrastructure that was being strained by increasing ridership. Last year, the agency logged 82.8 million passenger trips — 4.3 million more than were registered in 2016 and the first time ridership exceeded 80 million trips since the port authority assumed control of the railroad in 1962. The gain in part was driven by a rise in residential development near PATH stations and an influx of new riders. 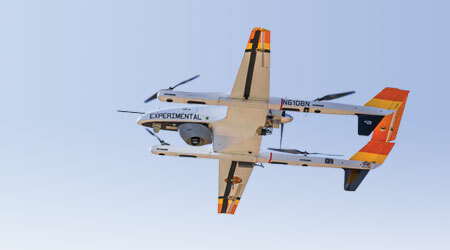 Marino also focused on safety and improving on-time performance (OTP). By working to modernize infrastructure and rolling stock, he helped drive OTP to record-setting levels, maintaining performance above 98 percent. His guidance was key in developing a new station, as well. PATH plans to replace the 80-year-old Harrison Station with a $256 million reconstructed facility featuring modern elevators and escalators, and extended platforms to accommodate 10-car trains. “It will be first new station construction on port authority property since the structure was built in 1918,” says Marino. The multi-phased project’s first portion — a head house on the Newark-bound side of the Newark-Journal Square stretch — is nearly completed. PATH plans to hold a ceremony in mid-October to open and dedicate the head house. The railroad expects to complete other elements of the project over the next four years. Marino also played a major role in helping PATH recover from Hurricane Sandy. The 2012 storm severely flooded tunnels and other rail infrastructure with corrosive salt water. PATH has completed some signal work, but needs to perform rail, signal wiring and third-rail power repairs and upgrades. The work will be performed during service outages over a series of weekends. In addition, tunnel repairs will be performed periodically through 2019 and 2020. 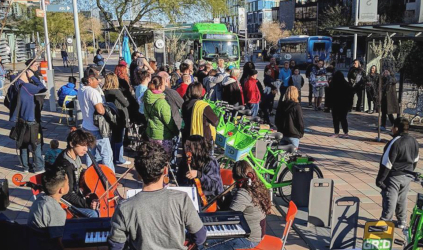 Since there are a lot of regulations associated with the recovery efforts — which in part will be funded by federal dollars — the agency is working with the Federal Transit Administration and Federal Railroad Administration (FRA). PATH’s leader since 2014, Marino has been a catalyst for implementing two train-control systems and rebuilding the rail system after Superstorm Sandy struck in 2012. PATH also is working with the FRA on PTC implementation, an effort that will cost about $759 million. The FRA is monitoring the railroad’s PTC testing program, which involves operating non-revenue service trains on weekends. PATH is pursuing two train-control systems: an automatic train control (ATC) system for PTC provided by Siemens, and a CBTC system supplied by Siemens and Ansaldo STS. Although there’s no federal regulation for ATC, PATH is rolling CBTC and PTC into one to “make our system safer,” Marino says. CBTC work is about 80 percent finished and slated for completion by 2021. Since PATH is a 24/7 operation operating 1,200 trains per day, it’s been a challenge finding track time to perform PTC work, says Marino. “It’s a big jigsaw puzzle you have to work out,” he says. Nevertheless, PATH expects to have PTC in place by year’s end. At that time, Marino will be ready to cap what he characterizes as “an interesting and exciting career.” It’s high time to devote more time to his six grandchildren, he says. “I want to do things I didn’t do with my own kids because I worked nights and weekends for many years,” Marino says.